Father Ruiz-Sanchez is a dedicated man--a priest who is also a scientist, and a scientist who is also a human being. He has found no insoluble conflicts in his beliefs or his ethics . . . until he is sent to Lithia. There he comes upon a race of aliens who are admirable in every way except for their total reliance on cold reason; they are incapable of faith or belief. Confronted with a profound scientific riddle and ethical quandary, Father Ruiz-Sanchez soon finds himself torn between the teachings of his faith, the teachings of his science, and the inner promptings of his humanity. There is only one solution: He must accept an ancient and unforgivable heresy--and risk the futures of both worlds . 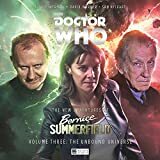 . .
Against the backdrop of deep-sea guerrilla conflict, a new age of human exploration begins as alien cultures collide. Both sides seek the aid of the newly enlightened Ilmatarans. But what this struggle means for the nativesâ€•and the future of human explorationâ€•is anything but certain, in A Darkling Sea by James Cambias. Told with P. D. Jamesâ€™s trademark suspense, insightful characterization, and riveting storytelling, The Children of Men is a story of a world with no children and no future. "Hogan skillfully draws the reader into a fascinating philosophical and theological debate, without ever forgetting he's supposed to entertain and tell a good story. "-Newsday **** Long ago, an alien "searcher" ship flew too close to a star gone nova. Though heavily damaged, the ship landed on one of Saturn's moons, Titan. Attempting to fulfill its original function of seeding suitable planets for exploitation, the ship creates an bewildering society of self-replicating machines that gives rise to a bizarre ecosystem and culture with intelligent beings and organically grown houses. **** The intelligent beings are known as Taloids and they have developed their own brand of religion around a mythical figure, a creator of machines, and hence, life. **** When humans descend from the sky, the Taloids see them as those creators. However, powerful financial and industrial interests are all set to exploit the moon and the Taloids to maximize Titan's vast production potential and the future for the Taloids looks grim. **** But they find a champion from an unexpected source. Karl Zambendorf is a "psychic" who has wrangled a place aboard the human mission to Titan. And when all of man's forces are conspiring to ruthlessly exploit Titan and the Taloids, Zambendorf becomes their champion and in the process challenges not only the religious imperatives of the Taloids, but the core of our own beliefs as well. A brand-new official Deus Ex novel, bridging events between Deus Ex: Human Revolution and the brand-new game Deus Ex: Mankind Divided. Calla Editions brings James Gurney'sÂ bestselling tale of mystical humans and intelligent dinosaurs to a new generation in this 20th anniversary edition. Digitally re-rendered from the original transparencies, Gurney'sÂ spectacular artistry takes on new vitality. Includes a new Afterword by Gurney as well as a special section of behind-the-scenes studies and maquettes he used in developing his paintings. The fourth book in James Gurney's best-selling Dinotopia series transports readers to an enthralling world of art, science, exploration, and invention, where humans and dinosaurs live peacefully together. 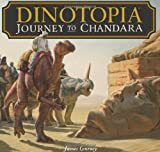 In the spirit of Marco Polo and Gulliver's Travels, Dinotopia: Journey to Chandara recounts the journal entries and adventures of explorer Arthur Denison and dinosaur Bix as they explore the exotic eastern realm of James Gurney's Dinotopia. * A visual masterpiece featuring more than 100 works of breathtaking new art, Dinotopia: Journey to Chandara joins the original Dinotopia: A Land Apart from Time and Gurney's two other series creations, Dinotopia: The World Beneath and Dinotopia: First Flight, in exploring a fully rendered world, complete with its own language, geographic locations and history, and confluence of cultures and characters. * The original Dinotopia: A Land Apart from Time achieved New York Times best-seller status, translated in 18 languages in more than 30 countries and inspiring an Emmy Award-winning television miniseries. Ghostbusters—starring Melissa McCarthy, Kristen Wiig, Kate McKinnon, Leslie Jones, and Chris Hemsworth—glides into theaters on July 15, 2016 with a hilarious paranormal adventure! Strange things have been happening in New York City. Mysterious ectoplasm has been oozing down walls, haunted figures are bursting out of locked rooms, and—rumor has it—a supernatural superfan wreaked havoc at a recent rock concert! Luckily there’s a group that’s ready to take the lead and rid the city of its ghostly infestation—the Ghostbusters! Grab your proton packs and join the Ghostbusters in this hilarious, action-packed retelling of the all-new movie that features an eight-page, full-color, glossy insert with images from the film! James Hiltonâ€™s famous utopian adventure novel, and the origin of the mythical sanctuary Shangri-La, receives new life in this beautiful reissue from Harper Perennial. A book that the New Yorker calls â€œthe most artful kind of suspense . . . ingenuity [we] have rarely seen equaled,â€ Lost Horizon captured the national consciousness when first published in the 1930s, and Frank Capraâ€™s 1937 film adaptation catapulted it to the height of cultural significance. Readers of Mitchell Zuckoffâ€™s harrowing history of a real-life plane crash in Dutch New Guinea, Lost in Shangri-La, as well as fans of novels ranging from The Man Who Would Be King to Seven Years in Tibet to State of Wonder will be fascinated and delighted by this milestone in adventure fiction, the worldâ€™s first look at this sanctuary above the clouds. The new Perennial edition also features a bonus essay on Lost Horizon by Donâ€™t Know Much About History author Kenneth C. Davis. James Blish (writing as "William Atheling") was one of the earliest critics to treat science fiction as a genre worthy of being reviewed as thoughtfully and seriously as any other branch of literature. This volume is a sequel to Blish's "The Issue at Hand," and it collects science fiction reviews written between 1957 and 1970. Where the earlier volume was largely focused on short stories and novels that had appeared in SF magazines, this collection contains a higher proportion of book reviews. Rudek Tornjak is a Wolf without a pack. A man scarred by his past, he prefers it that way. While living in the shadows of the French Quarter, whispers of treachery and betrayal reach his earsâ€”along with accusations implicating him in unthinkable acts. He comes out of hiding to confront his accusers only to discover heâ€™s under a death sentence. On the run, he encounters Isabelle Fontaine, a woman with a past of her own sheâ€™d rather keep hidden. Family is everything to Izzy and sheâ€™ll do whatever it takes to keep hers safe. Crossing paths with a shadowy corporation and a rogue Wolf puts the people she cares about in jeopardyâ€”not to mention her own life and heart. Secrets, lies, and betrayals are more personal under the full moon, but when a betrayed Wolf fights for his honor, no one is safeâ€”not even the woman he loves. Warning: Doubt a Wolfâ€™s honor and youâ€™ll get a serving of hot blood and guts to go.